Lothar Matthaus has described Borussia Dortmund&apos;s signing of Jadon Sancho as "like winning the lottery". It’s a fair comparison because a year after arriving at Signal Iduna Park, the £8 million ($10.4m) acquisition from Manchester City is arguably worth 10 times that amount. 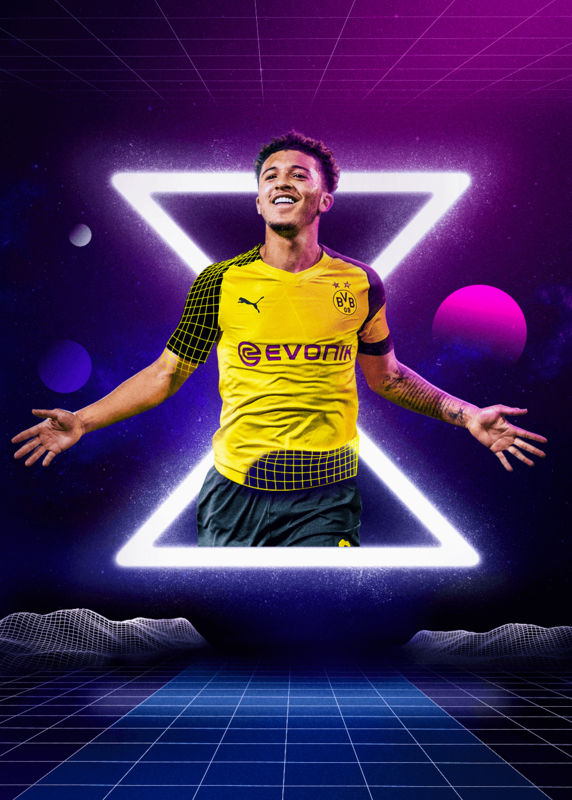 Sancho has been nothing short of sensational in Germany, as underlined by the fact that, in January, he became the youngest ever player to score eight goals in the Bundesliga. "He&apos;s brutally good," Dortmund CEO Michael Zorc says. "He can do things I have rarely seen." Unsurprisingly, the winger&apos;s form has already seen him break into the England senior squad and he is now regarded as the most promising talent within an exciting new generation of potential superstars. Congratulations to Jadon Sancho on being crowned the winner of the 2019 NxGn! Vinicius Junior declared in January, "I want to play with Neymar." It is only a matter of time before that dream is realised. Following a remarkable debut season at the Santiago Bernabeu, the Real Madrid sensation received his maiden Brazil senior call-up for March&apos;s friendlies - only for injury to later force him to withdraw. The Selecao came calling after assistant coach Sylvinho travelled to watch Vinicius Junior in his first Clasico at Camp Nou last month and was astounded by the 18-year-old&apos;s trickery, pace and fearlessness, which terrified Barcelona&apos;s back-line. 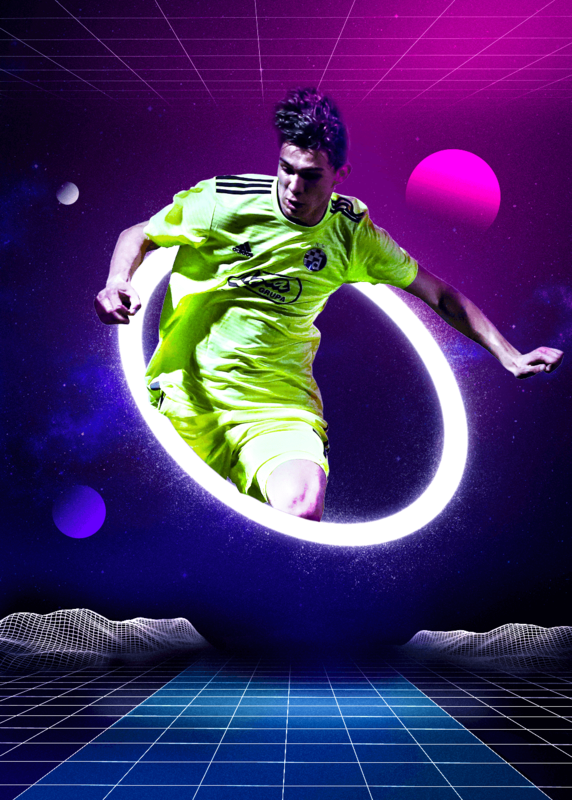 Indeed, it is no coincidence that Real&apos;s form improved dramatically after former coach Santiago Solari decided to put his faith in the Flamengo academy product, who is now tipped to become an even more important part of Zinedine Zidane&apos;s rebuilding project. Their decision to pay €45m (£39m/$51m) for a 16-year-old who had only just made his senior debut is now looking like a masterstroke. 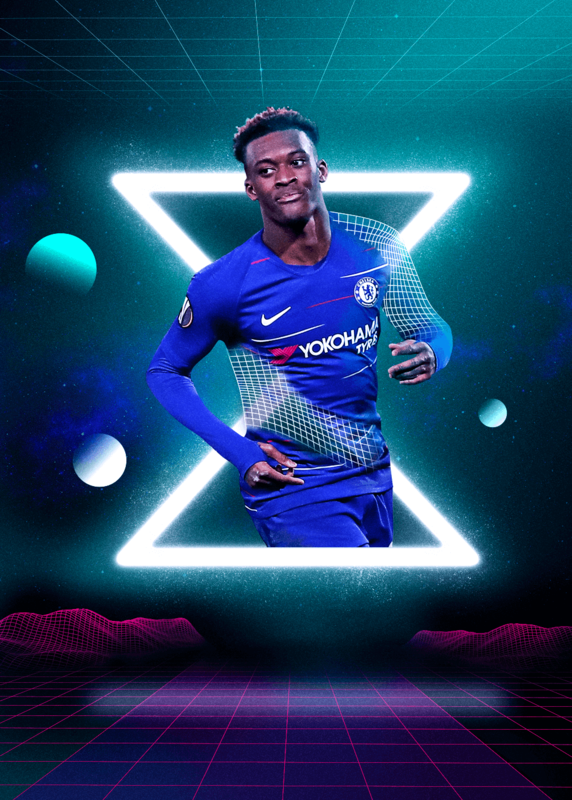 At just 18, Callum Hudson-Odoi has two of the biggest clubs in world football locked in a tug-of-war for his services. Chelsea are desperately trying to hold on to a player that they have had on their books for 12 years but the problem is that Bayern Munich are intent on bringing the skilful, lightning-quick winger to the Allianz Arena. The Bavarians even bid £35m ($46m) for Hudson-Odoi during the January transfer window but the Blues refused to sell the Under-17 World Cup winner who has just received his first call-up by England&apos;s senior squad. Bayern have already pledged to return with another offer in the summer, though, while Chelsea remain determined to retain a teenager that fellow winger Willian believes can “become one of the best in the world”. 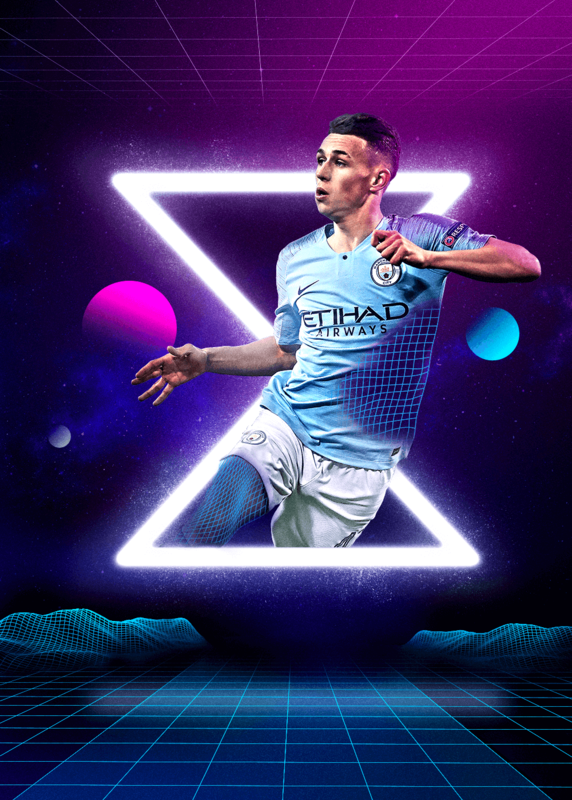 Phil Foden is becoming as much of a perfectionist as Pep Guardiola. Despite netting twice in last month’s win over Newport County, the midfielder berated himself for losing his man at one point, aware that he needs to be flawless if he is to break into Guardiola’s star-studded Manchester City starting line-up. "It&apos;s about stepping forward and trying to impress him," the 18-year-old reasoned. He need not worry, though. Guardiola says he will "never have any doubts" about a midfielder as tenacious as he is technically gifted. "He is a huge talent," the Catalan enthuses. "England have a diamond." Is lightning about to strike twice at the Santiago Bernabeu? 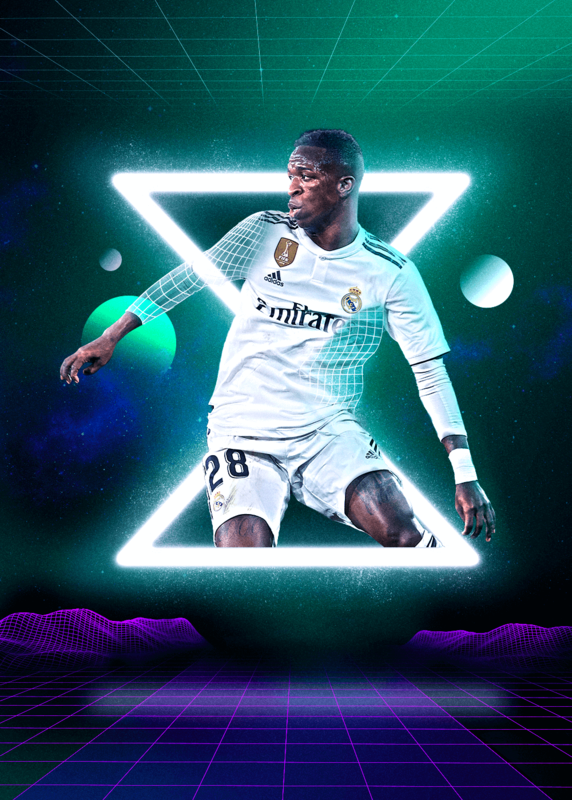 Vinicius Junior has already lit up the stadium with his electrifying performances for Real Madrid this season and now his former Brazil Under-17 team-mate Rodrygo is being tipped to follow suit when he arrives in the Spanish capital in June. The early signs are encouraging. 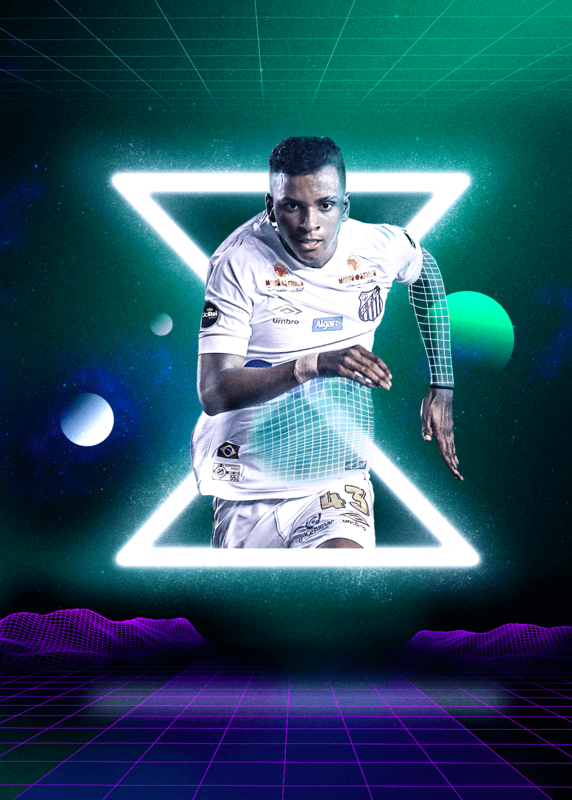 The Santos striker netted eight times in the Brasileiro Serie A last season and Selecao coach Tite has already been left amazed by his dribbling, finishing and, above all else, maturity. He, like many others, now believe Rodrygo’s €40m (£35m/$45m) transfer fee could prove a bargain. Alphonso Davies sealed a $22m (£17m) transfer from Vancouver Whitecaps to Bayern Munich last July but only arrived in Bavaria in January. 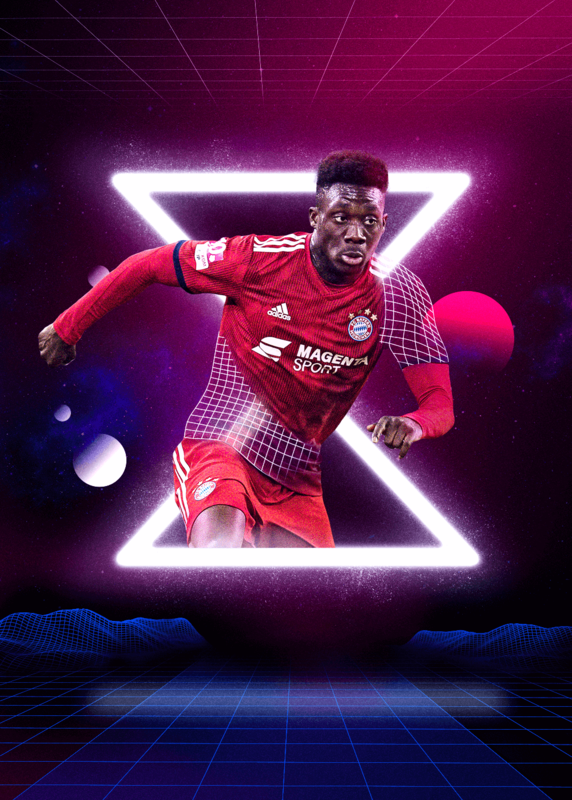 However, the Ghana-born Canada international, who starred at the 2017 Gold Cup, has already made a number of Bundesliga appearances and bagged his first goal, with coach Niko Kovac overjoyed that Bayern have unearthed a “diamond in the rough”. Sandro Tonali has yet to play in Serie A but the silky-skilled playmaker has already received his first call-up to the Italy senior squad. Given his position, his flowing locks and the fact that he plays for Brescia, the 18-year-old is unsurprisingly being touted as ‘the new Andrea Pirlo’ and club chairman Massimo Cellino has claimed both Roma and Liverpool are interested. 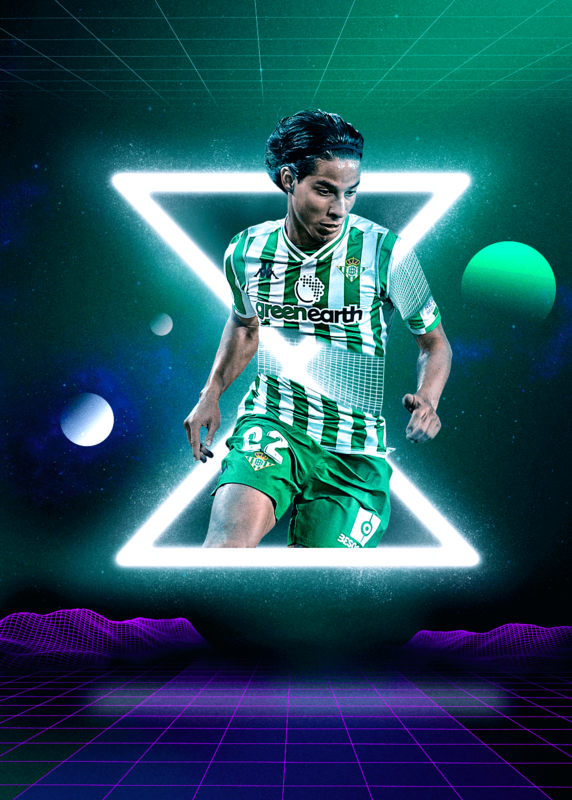 Diego Lainez still hadn’t locked down a regular starting berth at Club America when Real Betis decided to pay €14m (£12.2m/$15.8m) to take him to Spain in January. That bold move is already paying off, though, as the diminutive left-footed attacker often compared to Lionel Messi became the second-youngest Mexican to score in UEFA competition by netting a late equaliser in a Europa League clash with Rennes last month. 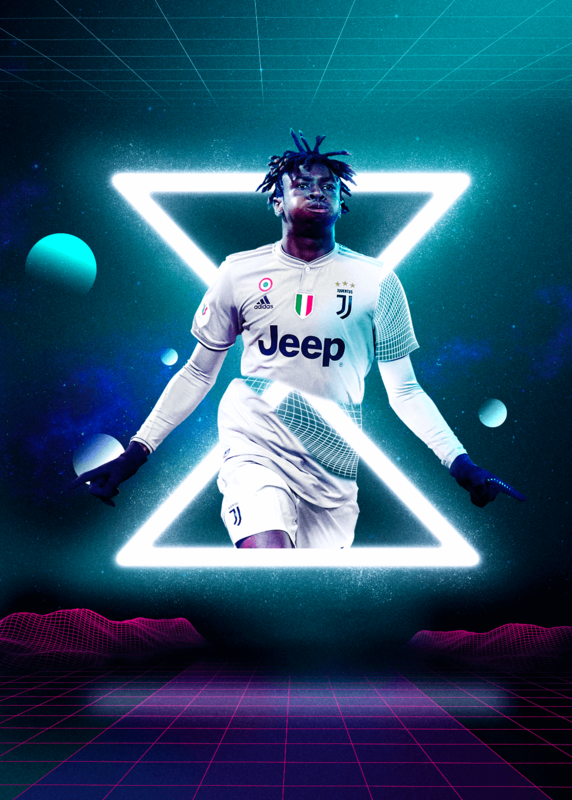 Moise Kean may be struggling for game time at Juventus but the 19-year-old remains one of the Bianconeri&apos;s most promising prospects and, like all good strikers, when he&apos;s given a chance, he almost always takes it. Indeed, the explosive forward, who made his Italy debut against USA in November, netted on his first start of the season, against Bologna in the Coppa Italia in January, before striking twice in Serie A after being asked to lead the line against Udinese earlier this month. 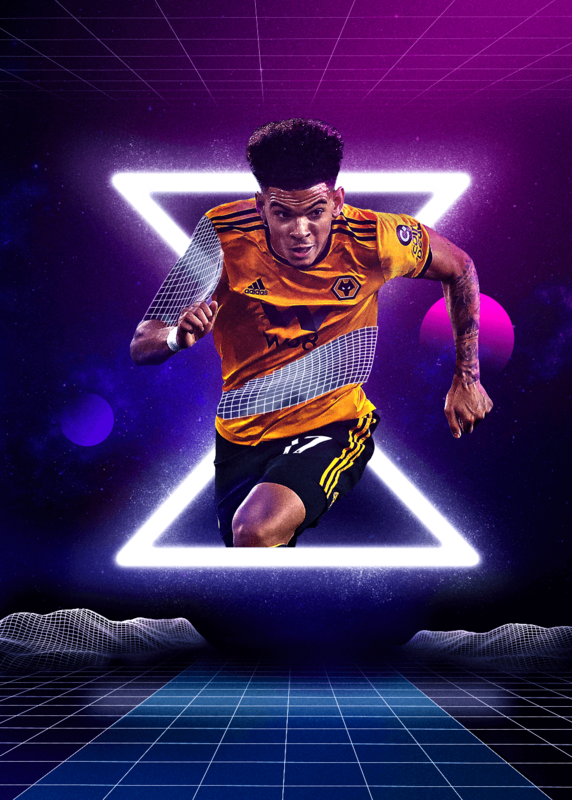 Morgan Gibbs-White wasted little time making his mark on his first Premier League start, creating the opening goal for Wolves in their shock 2-1 win over Chelsea in December. The versatile midfielder is now being tipped to achieve great things, with manager Nuno enthusing, "He’s skilled and there’s no doubt he can become a very good footballer." 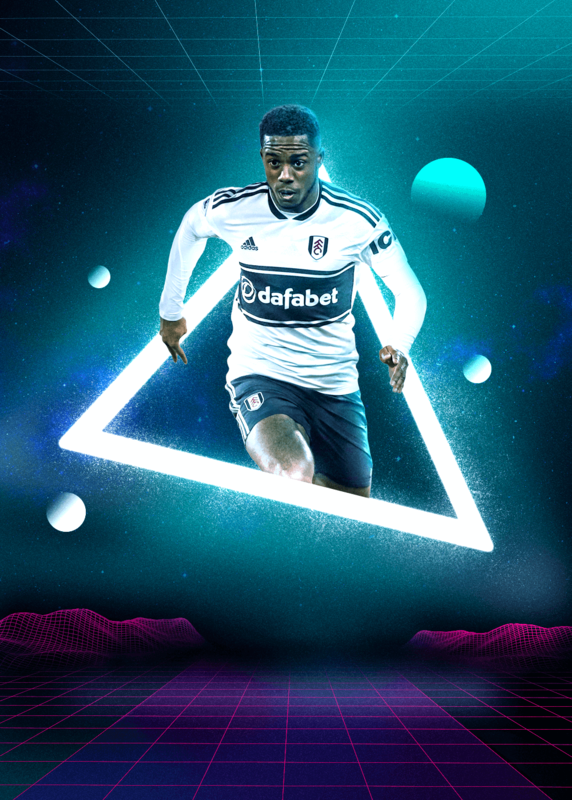 After firing Fulham to promotion last season with 15 goals in the Championship, Ryan Sessegnon is understandably proving less prolific in the Premier League. However, the versatile left-winger – whom former Cottagers boss Slavisa Jokanovic compared to Marcelo – became the first player born in 2000 to score in England&apos;s top flight in November. 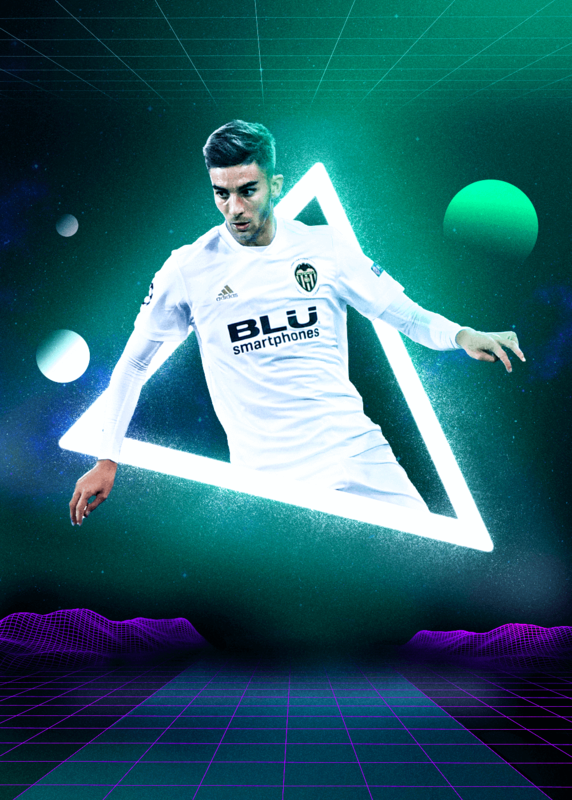 Ferran Torres may have made headlines for netting his first Liga goal in January but Valencia have known for some time that their academy product has a rare talent, which is why they increased the teenager’s buy-out clause to €100m (£87m/$113m) last April. A two-footed winger similar in style to Marco Asensio, Torres has already attracted attention from Barcelona and Real Madrid. Monaco have a well-earned reputation for spotting and developing youngsters, so their decision to pluck Sofiane Diop from the Rennes B team last summer immediately generated interest in the classy and versatile attacking midfielder. 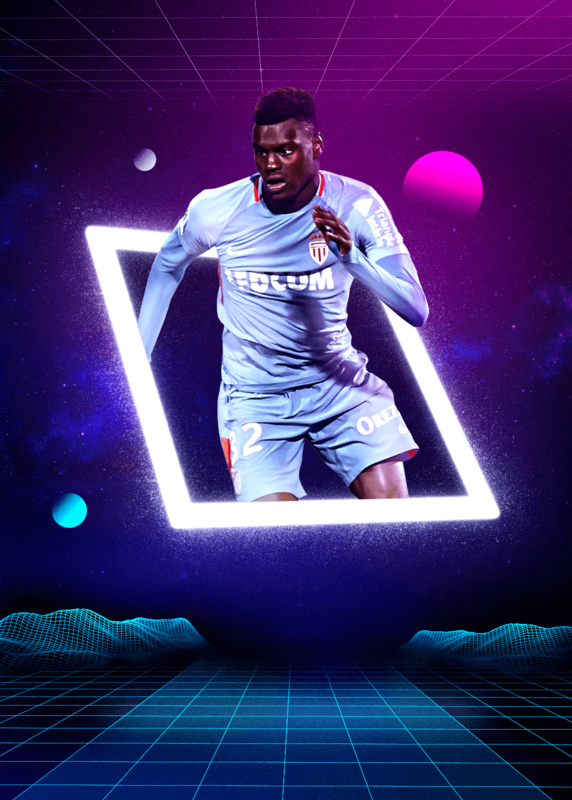 Like everyone else at the Stade Louis II this season, Diop has struggled at times but the France Under-19 international has seen plenty of game time, even making two starts in the Champions League. 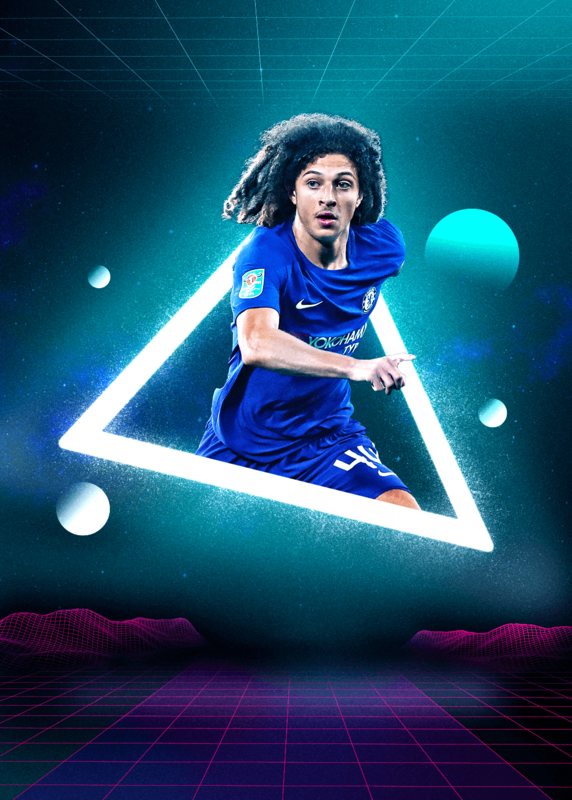 Ethan Ampadu is seeing little Premier League game time at Chelsea but nobody at the club has any doubts over the quality of a David Luiz-like centre-back who is just as comfortable playing in midfield. Indeed, the 18-year-old has already racked up six caps for Wales and is deemed so important to the Blues squad that a loan bid from Derby in January was immediately rejected. 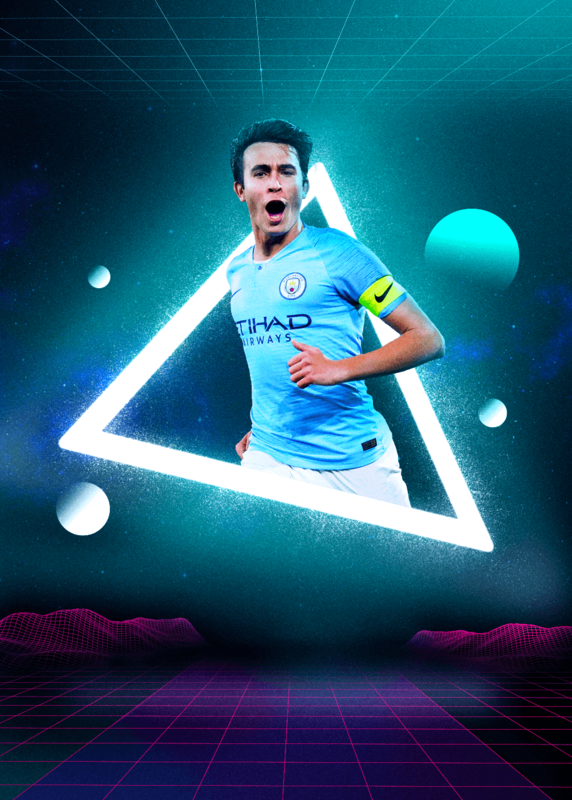 Eric Garcia’s arrival at Manchester City in the summer of 2017 didn’t make many headlines in England but the football media in Barcelona were devastated by the loss of another jewel of La Masia. We’re now beginning to see why, with the classy 18-year-old centre-half having made his senior debut this season after impressing manager Pep Guardiola on their pre-season tour with his maturity and authority on the ball. 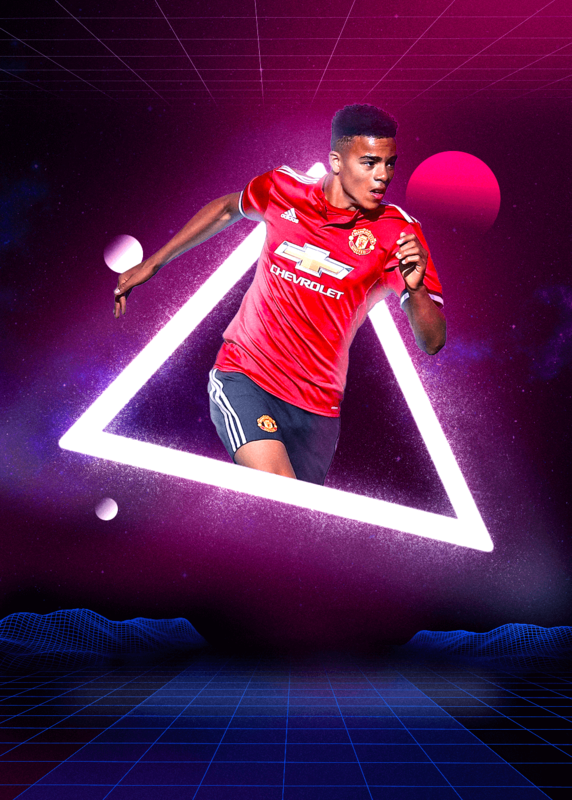 Manchester United are doing their best to play down the hype surrounding striking sensation Mason Greenwood but the word is already out that the 17-year-old has the potential to do great things at Old Trafford. The two-footed forward has netted for the Under-18s, U19s and U23s this season and was even introduced as a late substitute by Ole Gunnar Solskjaer during the historic comeback against Paris Saint-Germain earlier this month. 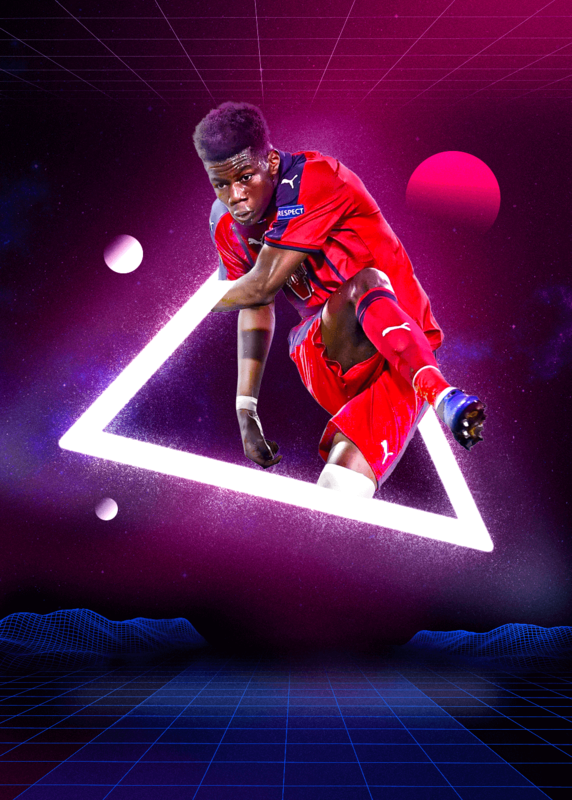 It would be expecting too much of Timothy Weah to emulate the achievements of his Ballon d’Or-winning father, George, but the 19-year-old striker still looks destined to carve out quite the career for himself in the professional game. 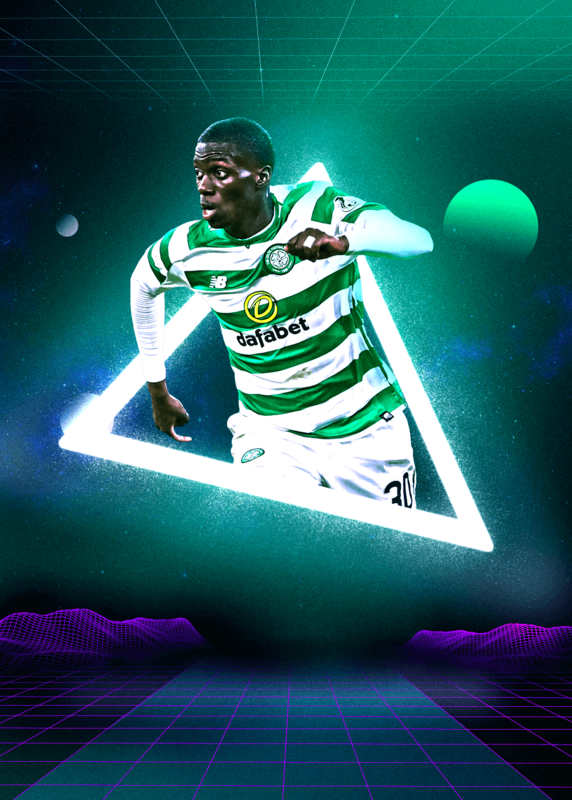 Indeed, Weah has already been capped at international level by United States, while he is currently enjoying an educational loan spell at Celtic after kicking off the 2018-19 campaign by netting his first couple of goals for parent club Paris Saint-Germain. Last summer, Bayer Leverkusen paid €18.5m (£16m/$21m) for Vasco da Gama prodigy Paulinho, who had become the Brazilian club&apos;s youngest ever debutant when he made his professional bow just two days before his 17th birthday. 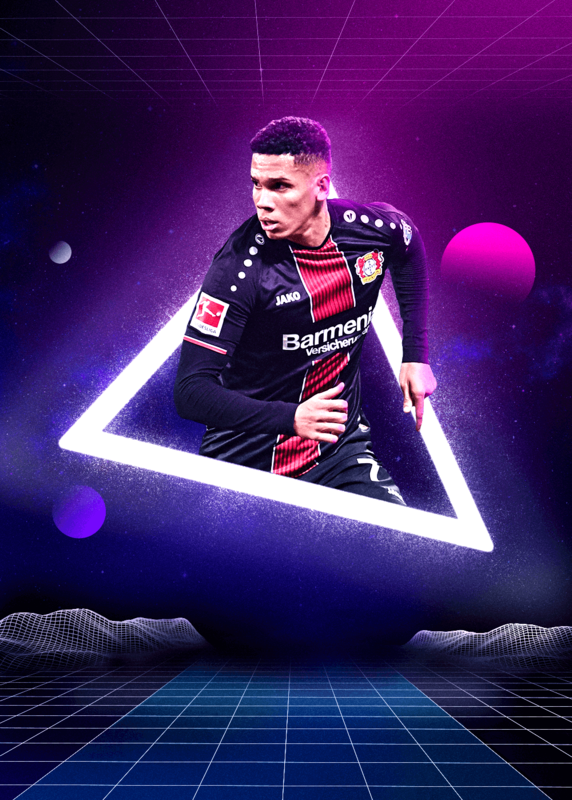 The versatile winger, who can also play as a trequartista or second striker, has featured regularly for the Bundesliga outfit this season and opened his Bayer account in December, in the Europa League. Agustin Almendra only broke into the Boca Juniors squad last year but the 19-year-old has already become a regular in midfield, impressing with his mix of tenacity and maturity. Indeed, as Goal revealed in December, both Barcelona and Valencia are interested in the Argentine, who is strong in the tackle, reads the game well and also boasts excellent dribbling skills. Aurelien Tchouameni has yet to complete his first season in the professional ranks but since making his Bordeaux debut in the Europa League last summer, the 19-year-old has attracted numerous suitors. Inter and Bayern Munich are among those most keen on a strong, composed midfielder whose nonchalance on the ball and deceptive pace are evocative of Yaya Toure. 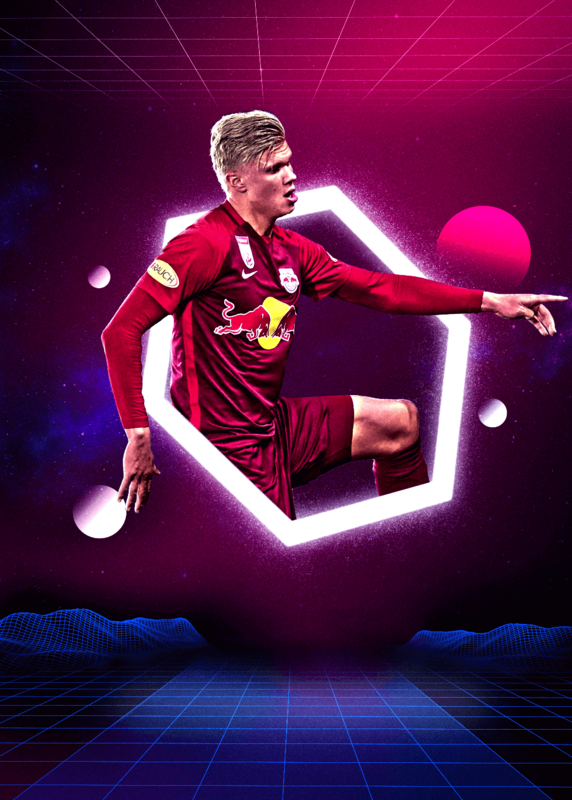 After signing professional terms with Red Bull Salzburg last year, Dominik Szoboszlai became the first player born in 2000 to be added to the club&apos;s senior squad. 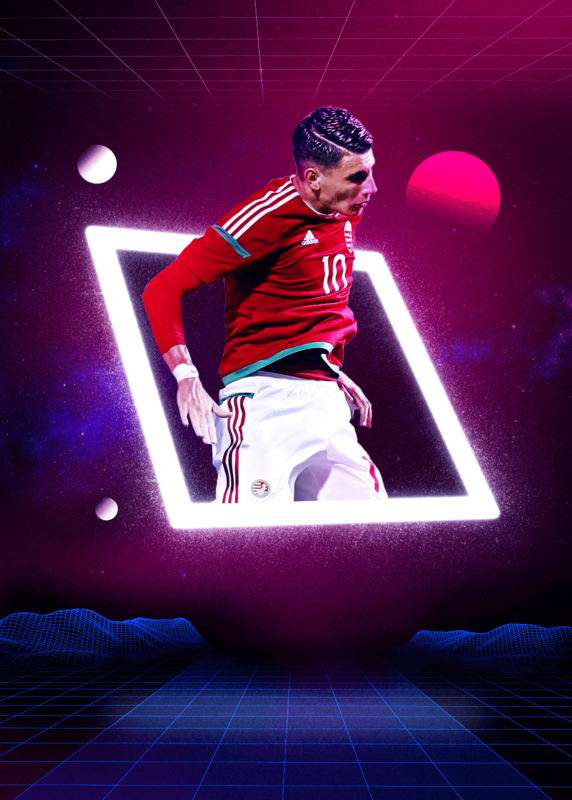 Since then, the 18-year-old central midfielder – who is regarded as the biggest talent to come out of Hungary in decades and already capped by his country at Under-21 level – has made his debut and already netted three times, twice in the OFB-Cup and once in the Bundesliga. For now, Benoit Badiashile is probably best known for being taken to task by former Monaco boss Thierry Henry for forgetting to tuck his chair back under the table at the end of a Champions League press conference. 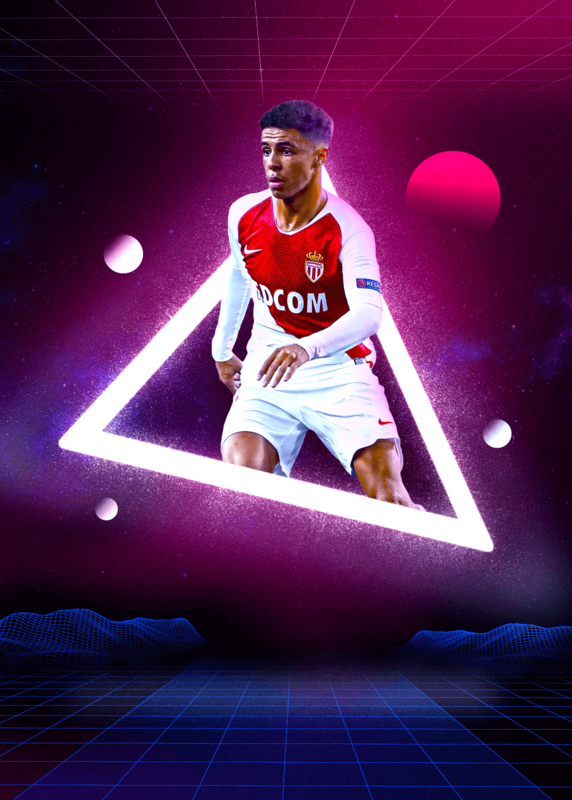 However, that will change soon, as the commanding 17-year-old defender has emerged as one of the most promising players the principality has produced in years, having already locked down a regular starting berth at the Stade Louis II. In January, Ki-Jana Hoever became the youngest player ever to represent Liverpool in the FA Cup, at just 16 years, 11 months and 20 days old. The Reds were beaten by Wolves on the night but the Dutchman&apos;s staggeringly mature display, which showed off his fearlessness in possession, underlined why Jurgen Klopp & Co. are so excited about a cultured defender who is as comfortable at centre-half as he is at full-back. 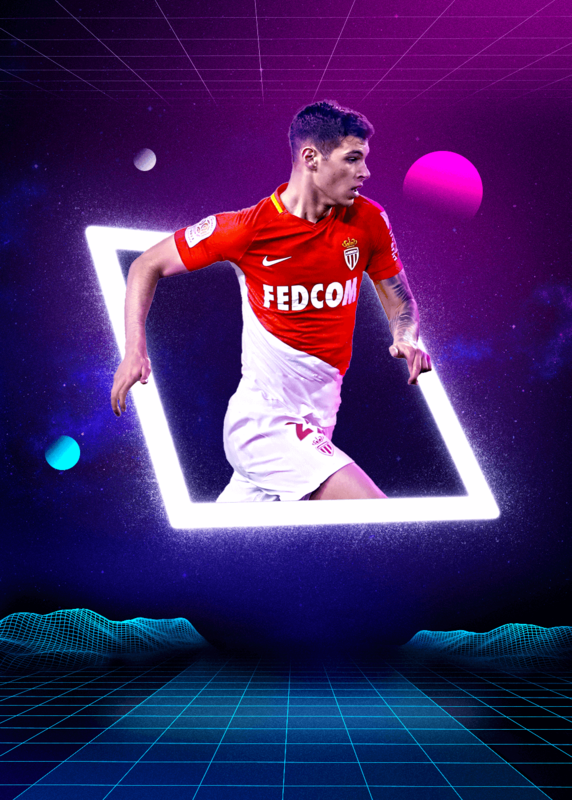 Pietro Pellegri has been plagued by injuries since becoming the second-most expensive 16-year-old in history after joining Monaco from Genoa last year for €25m (£21.7m/$28.4m) and he was even prevented from accepting his first Italy call-up last September by a groin problem. 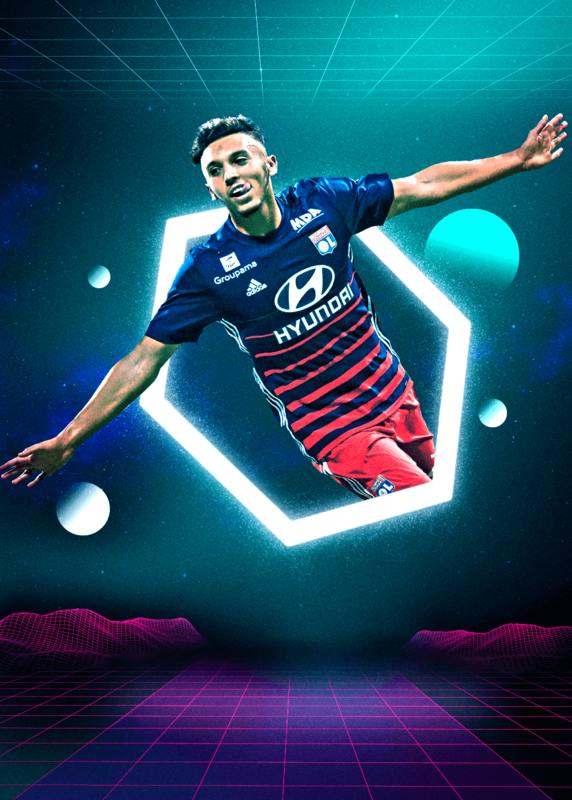 Nonetheless, the youngest player ever to appear in Ligue 1 had by then become the first player born after January 1, 2000 to score in France’s top flight by netting against Bordeaux the previous month. 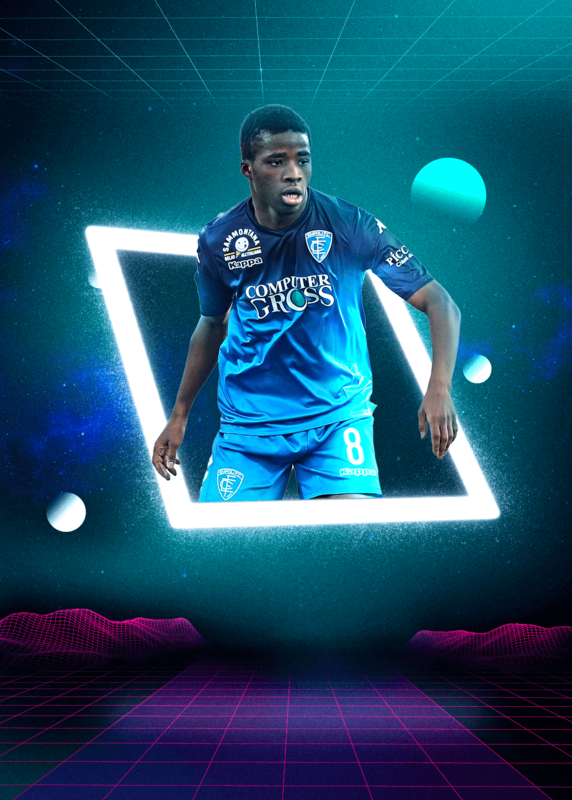 Hamed Junior Traore made his Empoli debut two years ago aged 16 but his sensational performances in Serie A this season have even taken the Tuscans by surprise. The versatile attacking midfielder quickly became a first-team regular at the Castellani and played so impressively that Fiorentina had to beat off competition from several top-flight rivals to strike a €12m (£10.4m/$13.6m) deal with Empoli that will see the Ivorian join the Viola in the summer. 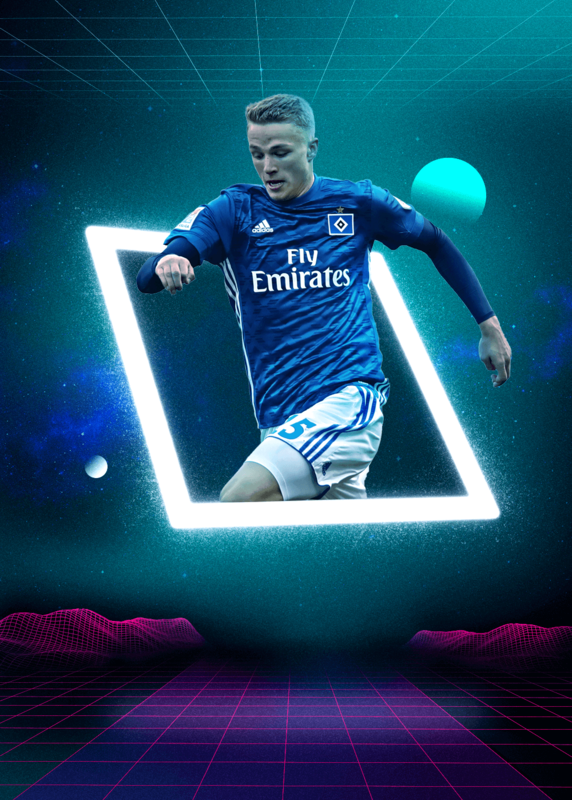 Jann-Fiete Arp has all the attributes of a classic No.9 but, as you would expect of the first player born in 2000 to net in the Bundesliga, the 19-year-old also possesses the mobility required of a modern forward. Hardly surprising, then, that the Hamburg striker, who has scored freely for Germany at under-age level, has already been snapped up by Bayern Munich, whom he will join either this summer or in 2020. 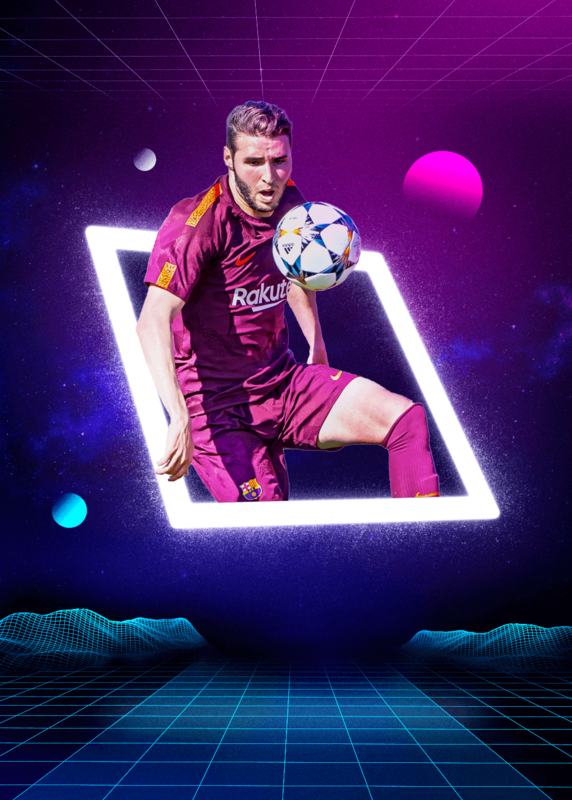 After Abel Ruiz attracted the interest of rival clubs with his performances at the Under-17 World Cup in 2017, Barcelona tied the forward down to a new contract with a €100m (£85m/$114m) release clause. Presently learning his trade with Barca&apos;s B team, the 19-year-old is expected to break into the senior squad very soon, particularly as he has exhibited similar movement and predatory goalscoring instincts to star striker Luis Suarez. 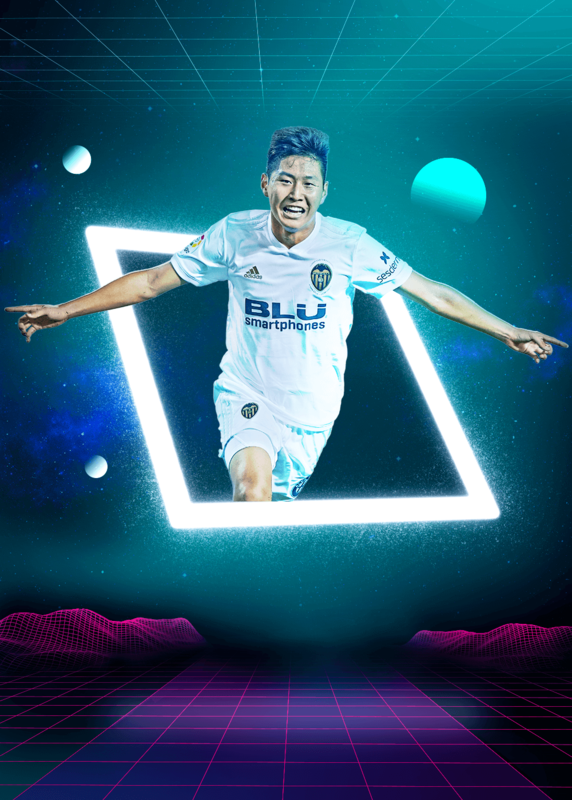 Officially added to the Valencia first-team squad in January, Kang-in Lee looks perfectly poised to deliver on the potential that was first spotted when he appeared on a football reality TV show at the age of six. The versatile, exciting and industrious left winger has already lined out in both La Liga and the Copa del Rey, while the 18-year-old was even included among the substitutes for the Champions League group meeting with Manchester United at Mestalla. 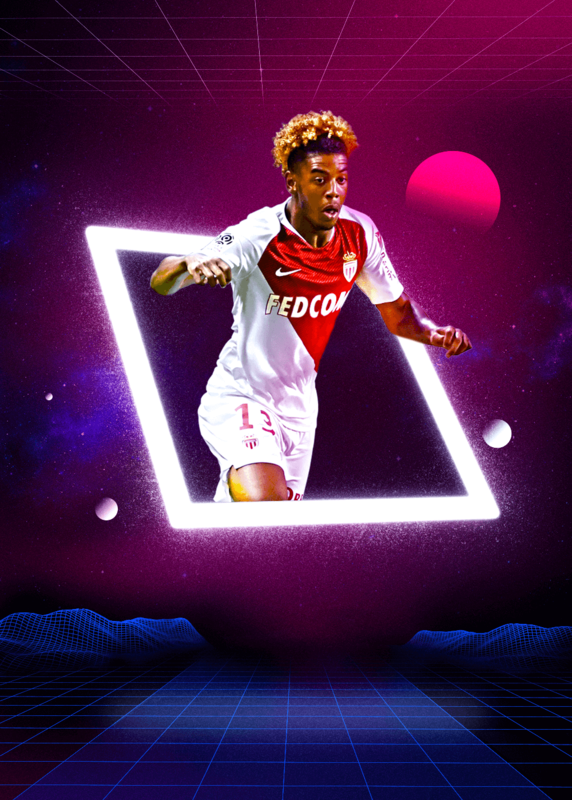 Willem Geubbels hadn&apos;t yet turned 17 when he joined Monaco from Lyon last summer for a whopping €20m (£17.4m/$22.7m). The elegant, lightning-quick left winger has seen his first season at the Stade Louis II decimated by injury but it should only be a matter of time before the France Under-18 international proves his worth in the principality. 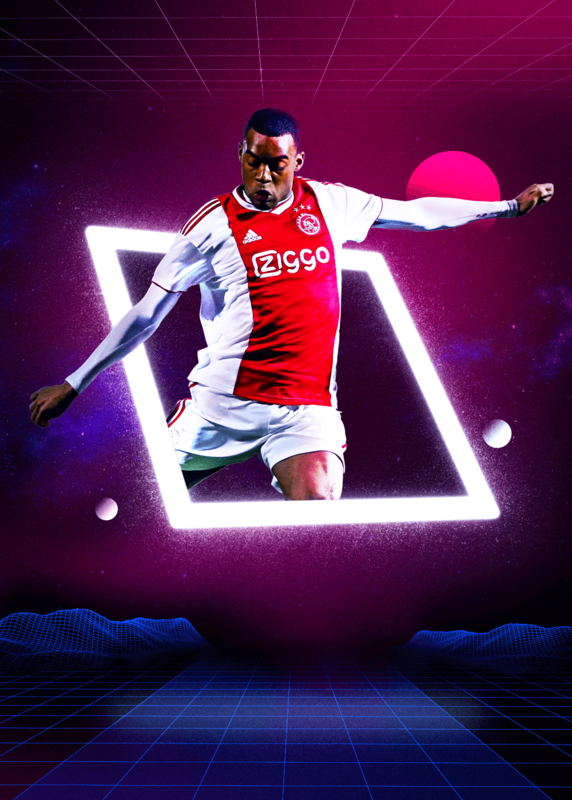 Regarded as the most exciting player to come out of Ajax’s renowned academy in years, Ryan Gravenberch is an elegant central midfielder of rare class and poise. The 16-year-old Netherlands Under-19 international replaced the legendary Clarence Seedorf as the club’s youngest ever Eredivisie debutant last September before then becoming the youngest ever player to score for the Amsterdam outfit. It says a lot about Rhian Brewster&apos;s talent that he should feature in this list despite being out of action since January 2018 with knee and ankle ligament damage. 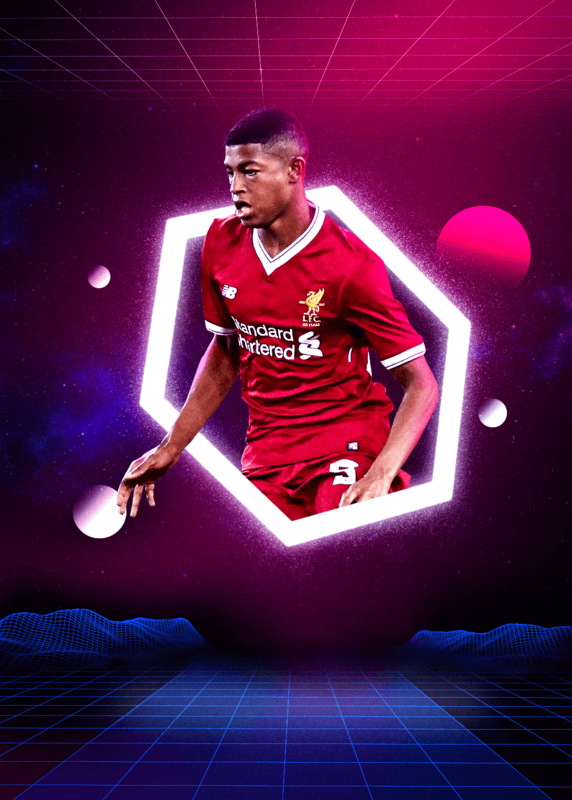 Indeed, there was joy at Anfield when Brewster signed a professional contract last summer, snubbing interest from the Bundesliga. 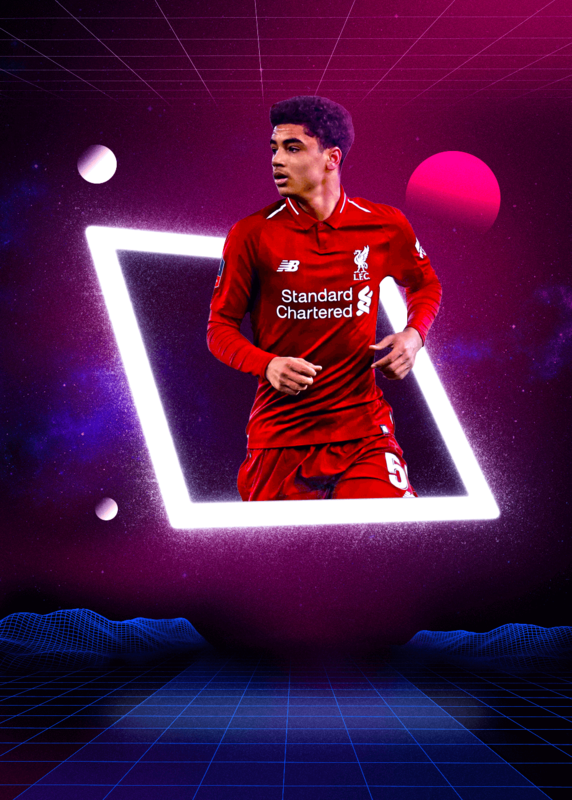 An Under-17 World Cup winner in 2017, the striker is adored by Jurgen Klopp and his Liverpool staff, who believe he has the potential to become a first-team star. 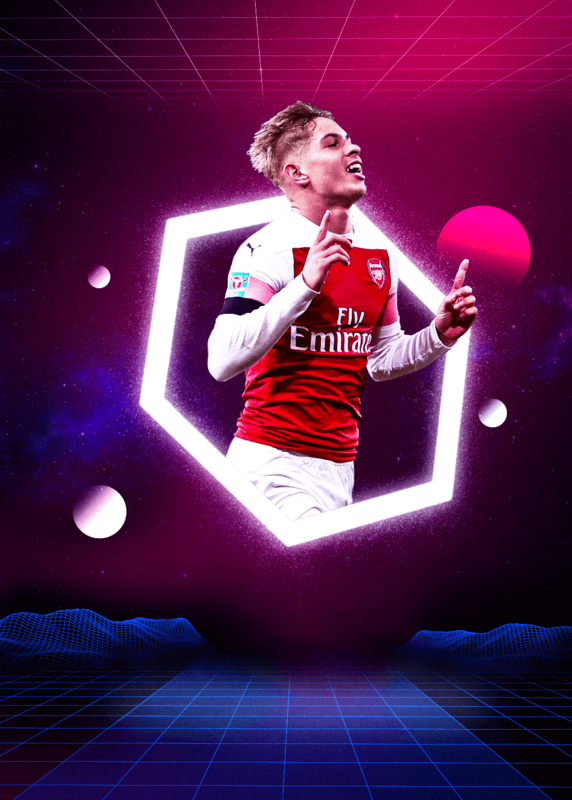 Arsenal were understandably thrilled when Emile Smith Rowe ignored interest from Barcelona to sign a long-term contract with the club last summer, with manager Unai Emery describing the attacking midfielder as having “lots of potential”. Certainly, it was there for all to see during the Gunners’ Europa League group-stage campaign, with the 18-year-old, who models himself on Kevin De Bruyne, netting twice in four appearances before being loaned to RB Leipzig for the remainder of the 2018-19 campaign. The son of former Premier League midfielder Alf-Inge Haland, the 18-year-old Erling Braut was born in Leeds but represents Norway at Under-21 level. The striker made headlines by scoring four goals in just 17 minutes for Molde last year and although Manchester United scouted a talent Ole Gunnar Solskjaer has compared to Romelu Lukaku, Haland instead joined Red Bull Salzburg in August for €5m (£4.3m/$5.7m). 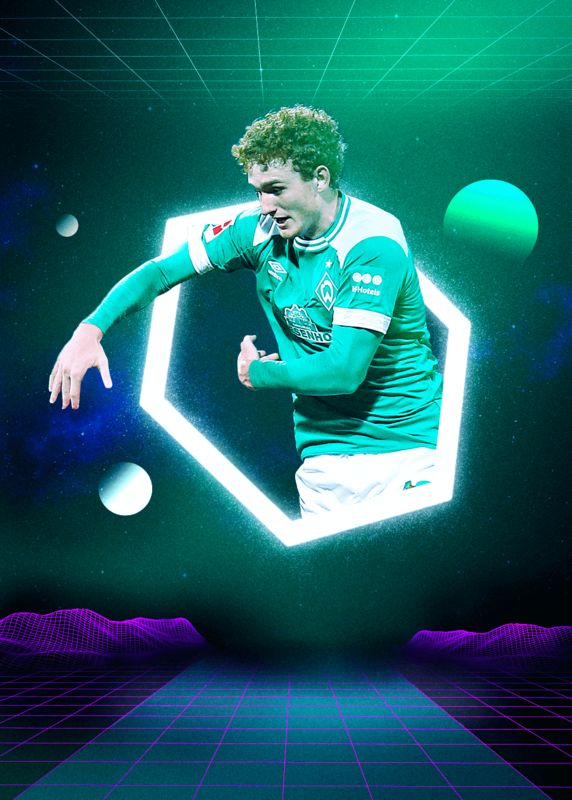 American striking sensation Josh Sargent is only 19 but the Missouri native is clearly in a rush to establish himself as a top-class forward. Indeed, Sargent netted in his first outing for USMNT, against Bolivia last May, while he opened his Bundesliga account with his very first touch on his Werder Bremen debut in a win over Fortuna Dusseldorf in December. It feels like only a matter of time before Lincoln follows in the footsteps of former Flamengo youth team and Brazil Under-20 strike partner Vinicius Junior by moving to Europe. Like the Real Madrid forward, Lincoln made his senior debut at just 16 years of age but he is a very different attacker to Vinicius, a more classic No.9 who has drawn comparisons with Robert Lewandowksi. 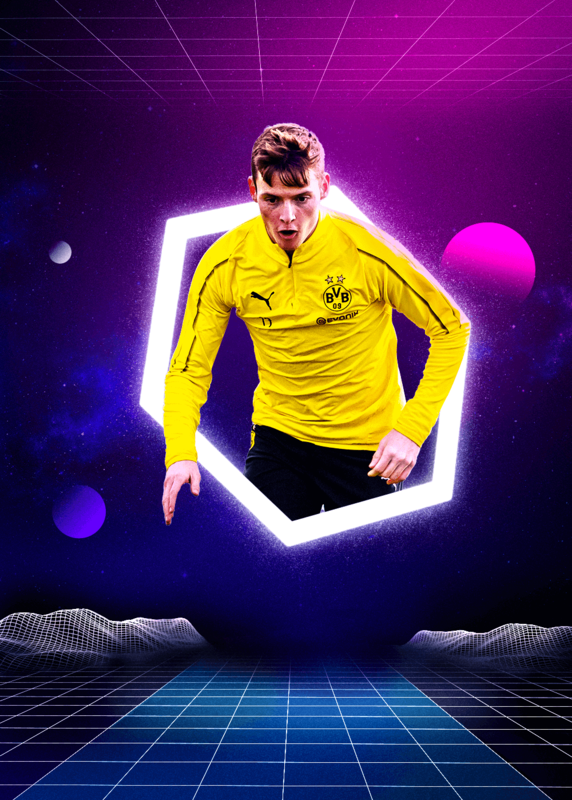 Regarded as a potential successor to Andres Iniesta, Sergio Gomez broke Barcelona hearts when he left Camp Nou last January to join Borussia Dortmund, who had met his €3m (£2.6m/$3.4m) release clause. 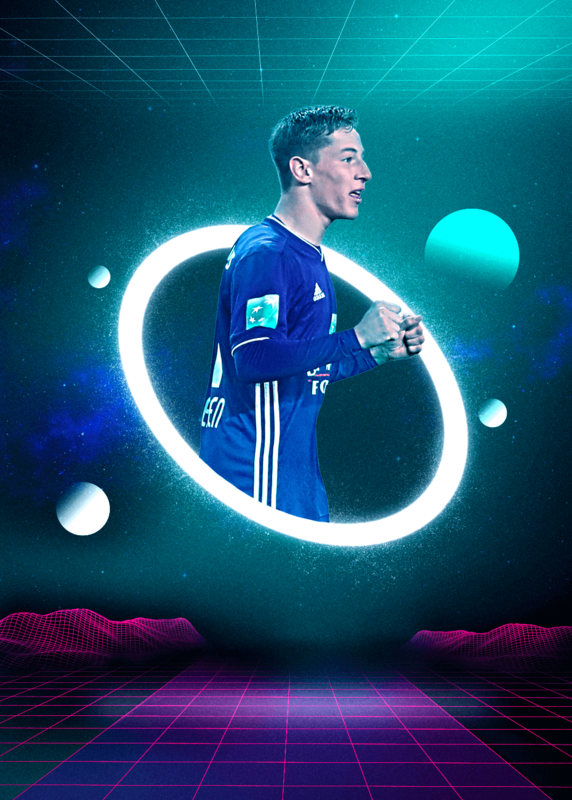 The clever and quick attacking midfielder, who starred for Spain at the Under-17 World Cup in 2017, made his Bundesliga bow last April before getting his first taste of Champions League action as a late sub in a group game against Monaco this season. 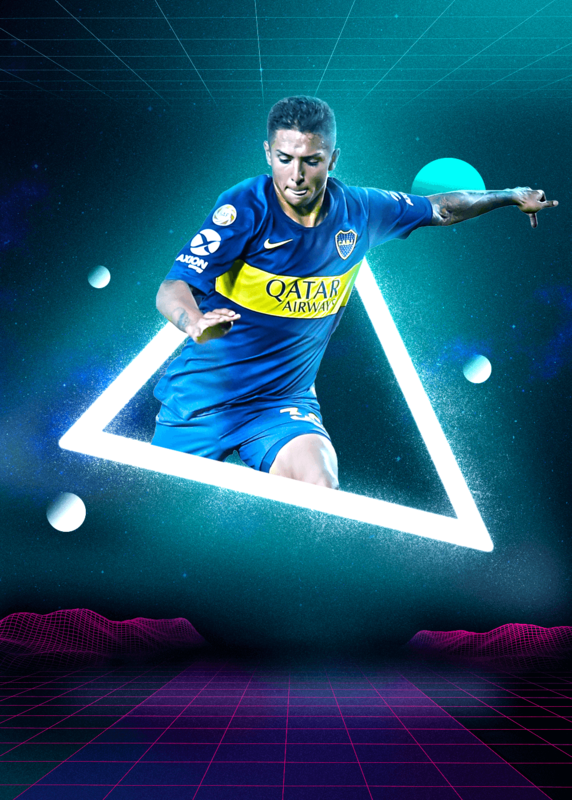 Julian Alvarez is so highly rated by Marcelo Gallardo that the River Plate boss had no qualms about giving the diminutive attacker his Copa Libertadores debut in the second leg of last year’s massive final showdown with bitter rivals Boca Juniors. The fearless Argentina Under-19 international, who was courted by Real Madrid and Barcelona as a kid, had already impressed with his skill and versatility during training sessions with the senior squad ahead of last summer’s World Cup. 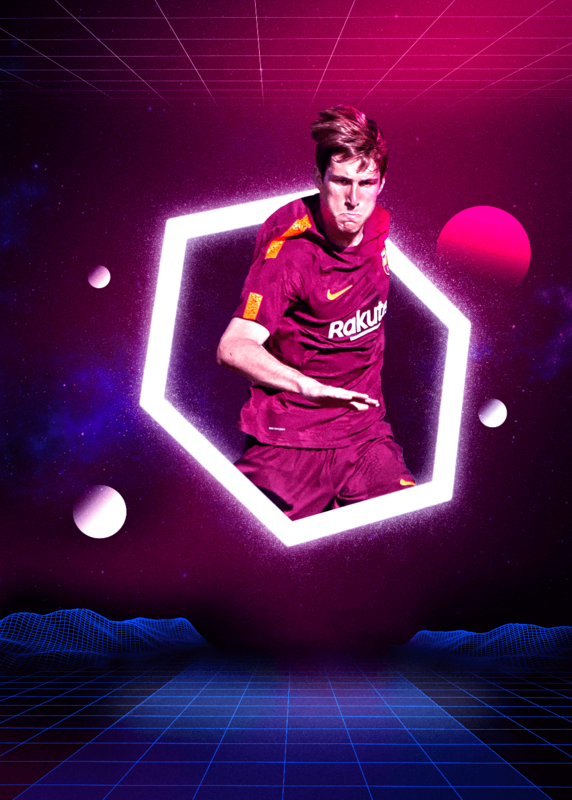 Juan Miranda humbly played down the eye-catching nature of his Champions League debut against Tottenham in December, arguing, "Everything&apos;s easier when you&apos;ve got Lionel Messi by your side." However, the left-back, who can also play in the centre of defence, impressed in what was just his third appearance for the senior squad, illustrating why Barcelona believe they may have already found Jordi Alba&apos;s successor. Amine Gouiri&apos;s hopes of taking the 2018-19 season by storm were cruelly dashed by a serious cruciate ligament injury in August. At just 19, though, the elusive striker - who has an excellent scoring record at under-age level for France - still has plenty of time to demonstrate why Lyon handed him his Ligue 1 debut when still only 17 years of age. 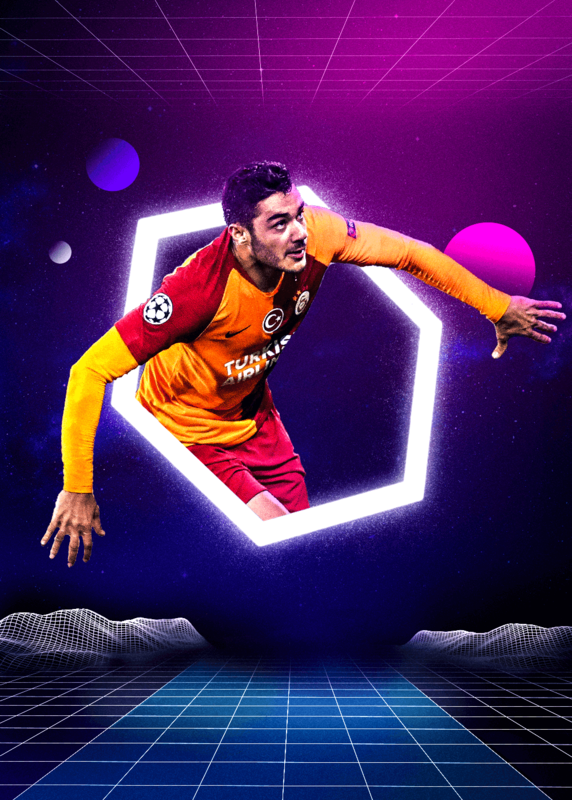 Turkey’s captain at the 2017 Under-17 European Championship, Ozan Kabak only made his professional debut last May but nailed down a regular starting berth at the heart of the Galatasaray defence this season. The centre-half exhibited such class and composure that Stuttgart signed him for €11m (£9.5m/$12.5m) during the January transfer window in order to beat Roma to his signature. What he lacks in size, Velez Sarsfield attacking midfielder Thiago Almada more than makes up for in skill and bravery. 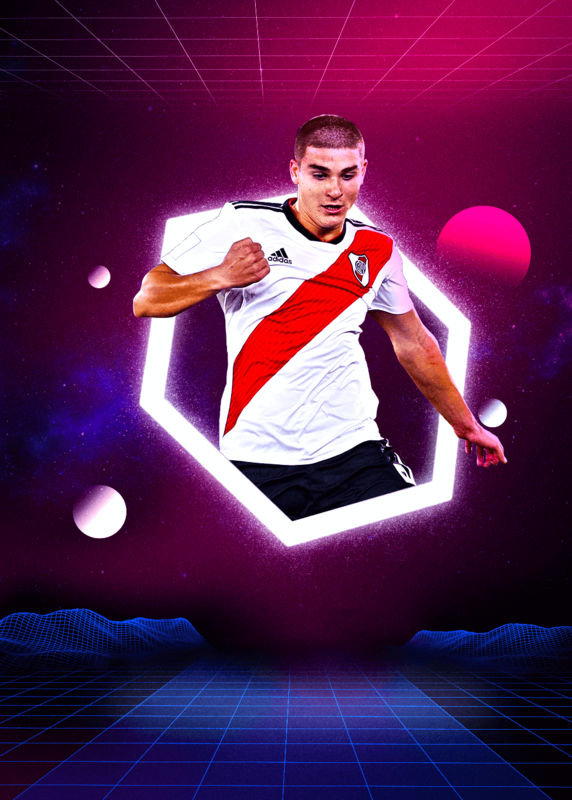 The Buenos Aires native is still only 17 yet he has already debuted and scored for Gabriel Heinze’s senior squad, while he is also a regular for Argentina’s Under-20s. 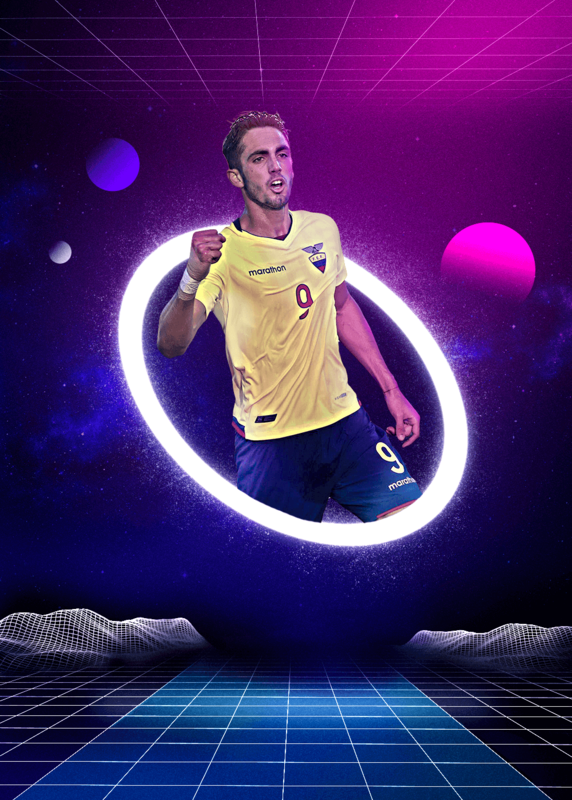 Leonardo Campana is the outstanding talent within arguably the finest crop of young players Ecuador has ever produced. The 18-year-old striker finished as top scorer at this year&apos;s South American Under-20 Championship, netting six times in total - and twice in the decisive victory over Venezuela - as his country claimed the title for the first time in their history. Before signing his first professional contract with Dinamo Zagreb in October 2017 Antonio Marin was courted by the likes of AC Milan, Manchester City and Paris Saint-Germain. Their interest was understandable. The 18-year-old Marin, who has already debuted in Croatia&apos;s top flight, is a two-footed left winger with fantastic footwork and devastating dribbling skills. 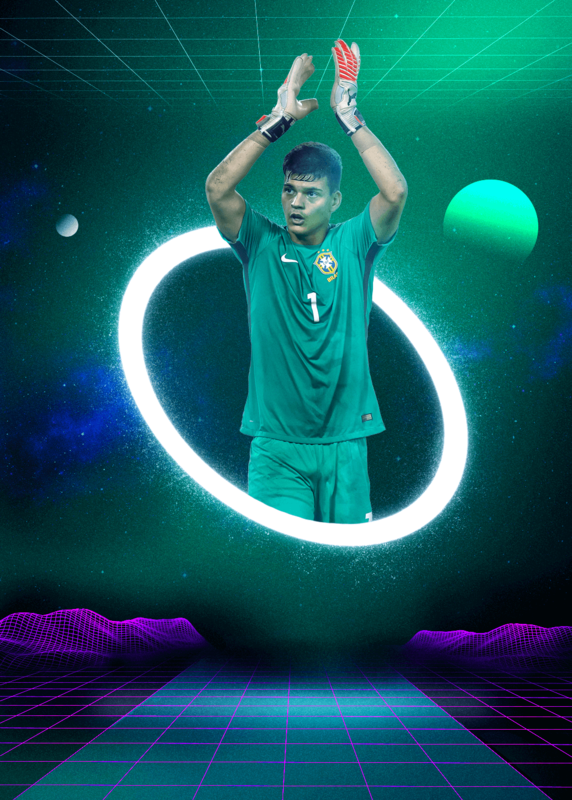 Who is Brazil’s best goalkeeper after Alisson and Ederson? Many pundits would argue it’s Gabriel Brazao, who was named alongside the illustrious duo in the Selecao squad for the November internationals against Uruguay and Cameroon. Unsurprisingly, the 18-year-old, who helped his country finish third at the 2017 Under-17 World Cup, has just been snapped up by Parma, though the Cruzeiro product is expected to move on to Serie A rivals Inter this summer. Manchester City didn&apos;t want to run the risk of missing out on one of Croatia&apos;s most exciting prospects so they wrapped up a £7m ($9.1m) deal for Ante Palaversa in January. 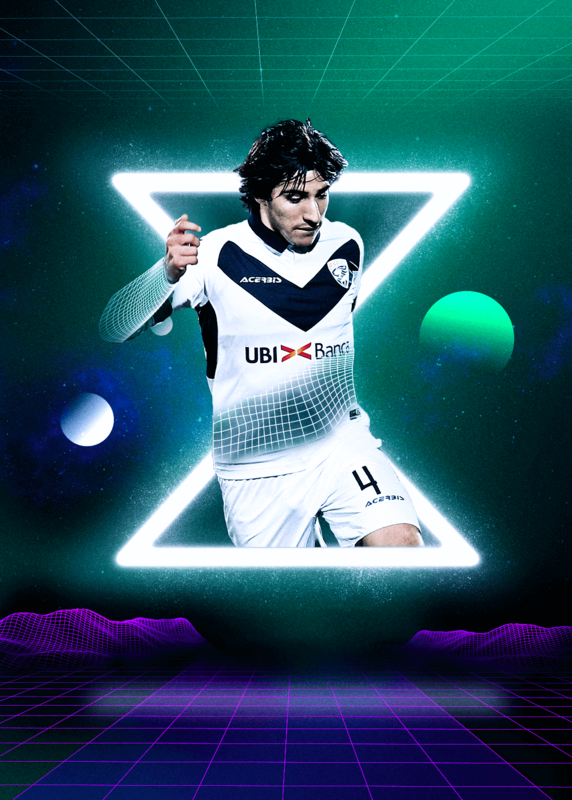 The all-action midfielder, who is equally adept at screening the defence or playing just behind the forwards, has been a regular for Hajduk Split this season and will continue his rapid development with his hometown club before moving to the Etihad in 2020. Mohammed Ihattaren certainly doesn&apos;t lack bottle, with the attacking midfielder having netted a penalty in all three of Netherlands&apos; shootout victories during last year&apos;s triumphant European Under-17 Championship campaign. 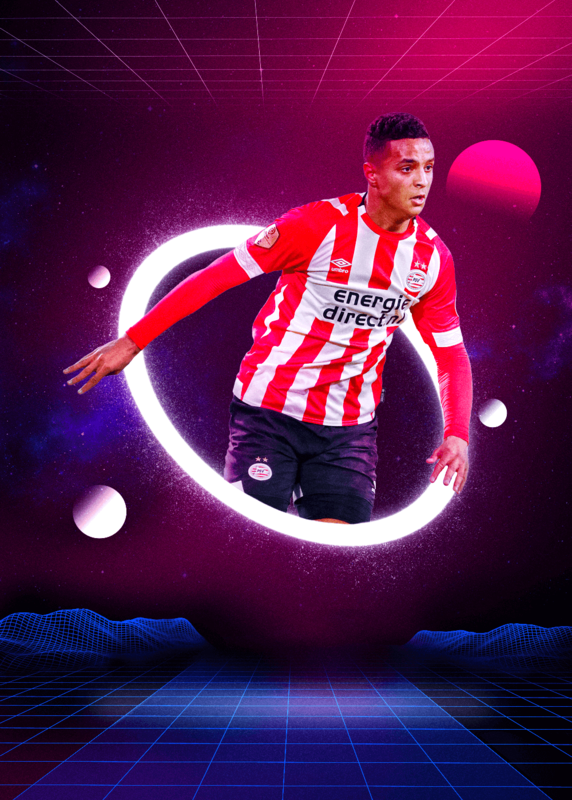 PSV have no doubts about his quality either, having handed the 17-year-old – who can also play on the right-hand side – his Eredivisie debut in January. 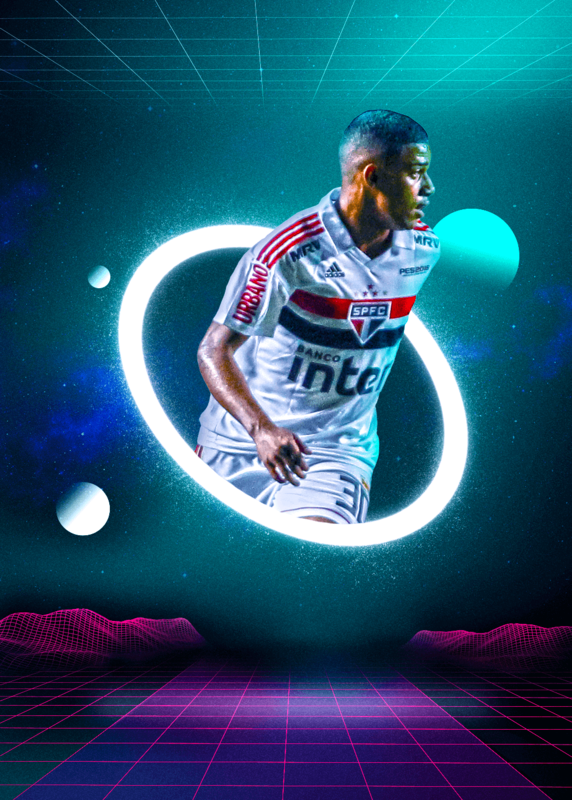 Sao Paulo know full well that they’ve got a very valuable asset on their hands in Brenner, which is why they’ve inserted a €50m (£42.7m/$56.8m) buy-out clause in the 19-year-old’s contract. That fee could well be met in the coming years, though, as the tricky and quick striker – who is appearing in the NxGn for the second year in a row – has already opened his goalscoring account in the Brasileiro Serie A.
Anderlecht are renowned for churning out top-quality footballers and Yari Verschaeren is the latest potential superstar to roll off the conveyor belt. The cultured attacking midfielder, who can also play on the flanks, scored his first Pro League goal in just his fifth outing in all competitions and has also appeared in the Europa League. Signed by Barcelona as a 10-year-old, the outrageously gifted attacker Takefusa Kubo was forced to return to his native Japan in 2016 because of irregularities related to the Catalan cub&apos;s recruitment of overseas players aged under 18. 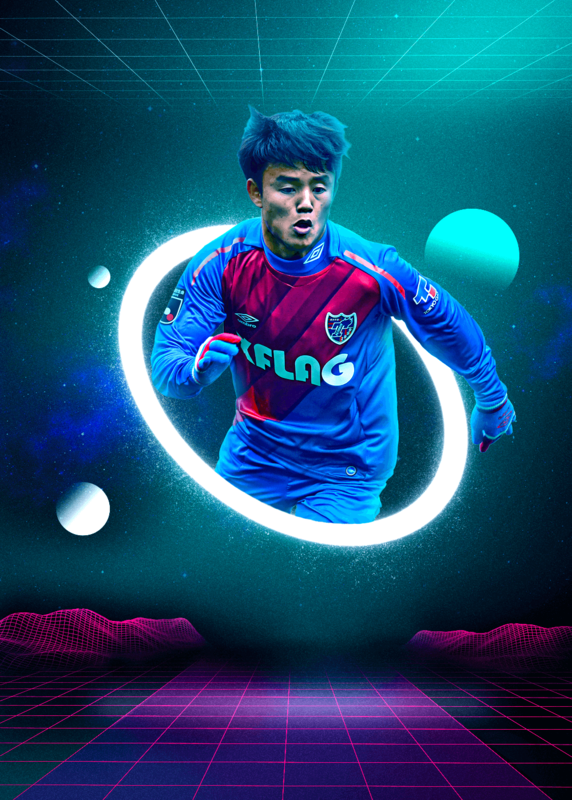 However, after three years with FC Tokyo, which included a loan spell at Yokohoma F. Marinos, &apos;the Japanese Messi&apos; – who is the youngest player to appear and score in the J. League – is expected to return to Camp Nou later this year. Bayern Munich’s senior squad have been aware of Christian Fruchtl’s scary potential for some time now, with the 19-year-old having been first invited to train with them during their winter break in Qatar in 2016. 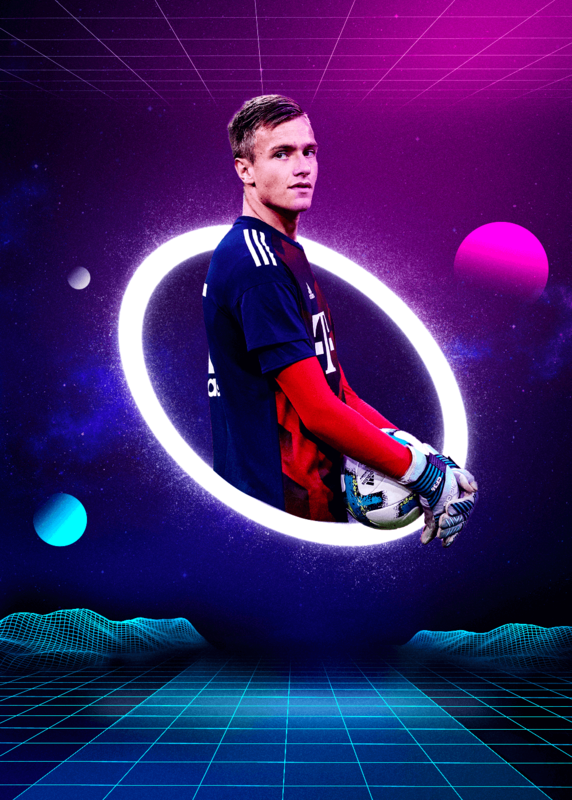 Manuel Neuer was immediately impressed by his supposed successor, who first came to the attention of the Bavarians because of his natural ability, imposing physique and outstanding skills with the ball at his feet.